Welcome to Day 53 of 100 Days of Disney here on The Purple Pumpkin Blog! Be sure to check out all of the other posts in this series, and if you would like to share your own Disney blog posts or pictures, make sure you check out the #100DaysOfDisney Link Party! So today I was going to tell you all about the Villains Unleashed one-night event that is happening at Disney Hollywood Studios this summer (we’ve got our tickets bought for that!) but, I then read the awesome news on the Disney Parks Blog that Frozen Summer Fun is also coming to DHS, starting on July 5 2014 through to September 1!!!!!! Oh. Em. Gee!!! We are so going to have an amazing time this summer! I LOVE the Disney movie Frozen, and adore Olaf – he’s just so cute! 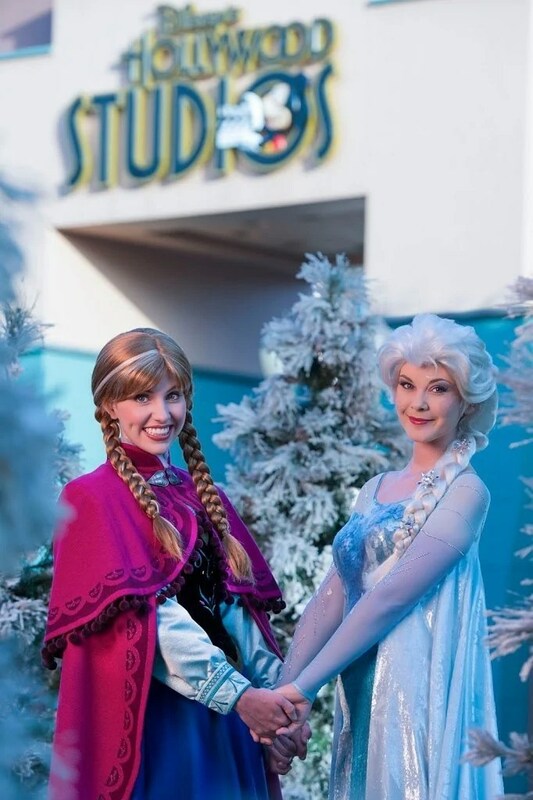 Anna and Elsa’s Royal Welcome – at 11am each day, they will parade down Hollywood Boulevard as part of a goodwill tour of neighbouring kingdoms on a sleigh! Kristoff is along for the ride, along with skaters, skiiers, ice-cutters and more, with a special celebration in front of the Sorcerer’s Hat! For the First Time in Forever: A “Frozen” Sing-Along Celebration – it’s a sing-along, a SING-ALONG PEOPLE!! Wandering Oaken’s Trading Post & Frozen Funland – cold weather activities, including a Do You Want To Build A Snowman? play area, (I wish I was a child! ), unique photo ops, Frozen merchandise, food and beverages! “Coolest Summer Ever” Dance Party – taking place around the Sorcerer’s Hat Icon Stage, there will be a DJ and live band, playing rock ‘n’ roll hits and a cool medley of Frozen favourites! Time to get our dancing shoes on! “Frozen” Fireworks Spectacular – Disney fireworks are amazing anyway, but theme them to the Frozen soundtrack – it’s going to be spectacular, spectacular!! I’m pretty excited about this – can you tell?! The park is going to be super busy with all of this going on, so I’m glad we’re now veterans of Walt Disney World! I’m also so glad that we are staying onsite this year, as it’s going to make everything a billion times more special! Day 53 of #100DaysOfDisney is done – 47 to go! This is great news. I’m off to investigate further. We’ll be there to enjoy this.